World soccer's governing body FIFA has hired a former New York prosecutor to represent it as senior officials face bribery and corruption charges in a US court, a person familiar with the matter said. William Burck, a partner at the law firm Quinn Emanuel Urquhart & Sullivan, was retained within the past month, said the person, who spoke on condition of anonymity. US authorities on May 27 announced the indictment of nine current and former FIFA officials and five corporate executives for running a criminal enterprise that involved more than $150 million in bribes over 24 years. Each of them may hire his own lawyer. 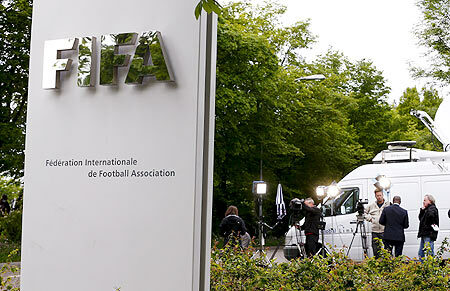 FIFA, the Fédération Internationale de Football Association, as an organization has not been charged with wrongdoing. In an email, FIFA confirmed that Quinn Emanuel is its law firm. Burck was an assistant U.S. attorney early in his career in Manhattan. He helped to prosecute Martha Stewart, a US television personality who runs a home decorating empire, for lying to investigators about the sale of ImClone Systems stock. He also served as deputy White House counsel in the George W. Bush administration. While a private lawyer, his clients have included Kim Dotcom, a flashy Internet mogul who is fighting extradition from New Zealand to the United States on charges he assisted massive piracy of copyrighted movies and music. Burck's hiring was earlier reported by American Lawyer magazine. Separately, lawyers Sam Gandhi and Tim Treanor of the US law firm Sidley Austin are representing CONCACAF, the governing body for soccer in North America, Central America and the Caribbean, a CONCACAF spokesman said. CONCACAF has also not been charged with wrongdoing.